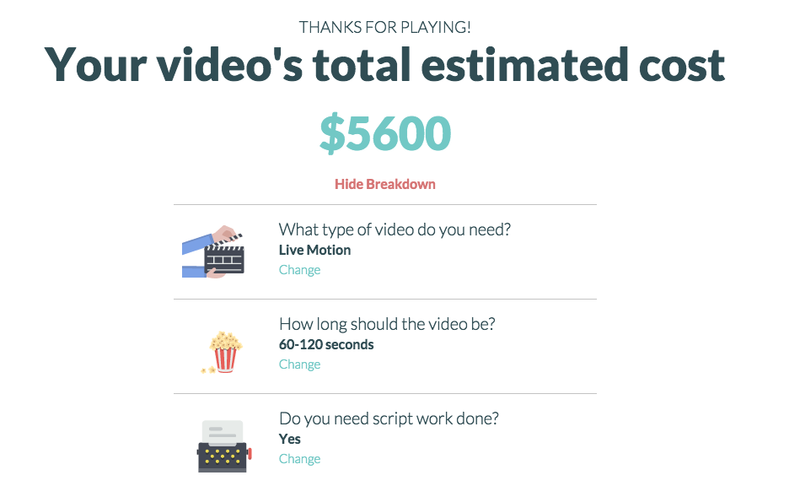 Video company Veed.me has created a clever marketing tool to direct people to its platform of qualified videographers. On the domain it purchased, self-evidently called howmuchtomakeavideo.com, you’re guided through a series of simple questions which will affect the budgetary outcome of your music video. These include whether you already have a script written, whether you’ll need stock music, voiceovers, or special effects, and even how good you want the finished product to be. For what it’s worth, my 60-120 second music video with no special effects, extra music, editing, or voiceover, but with script development and two extra actors would cost me about five G’s. Handy for aspiring videographers. If you’re looking for a video or you make videos, you should also check out Veed.me.